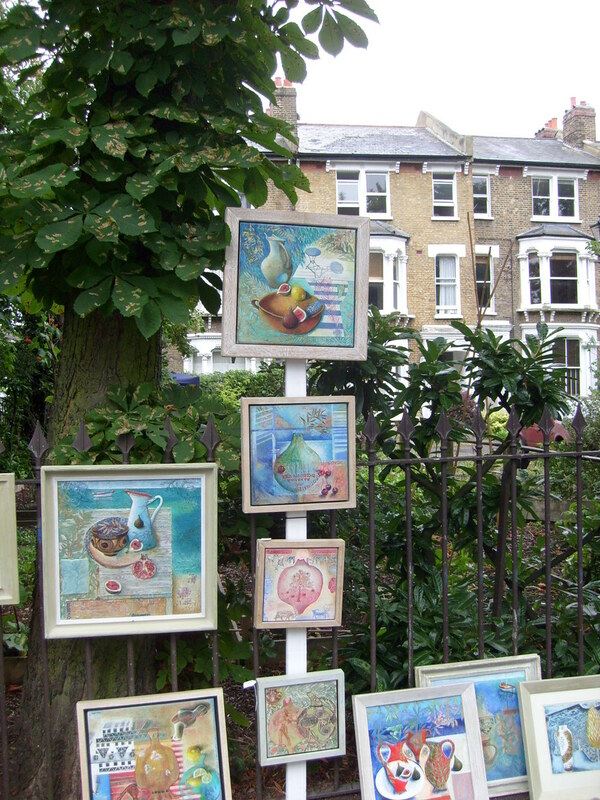 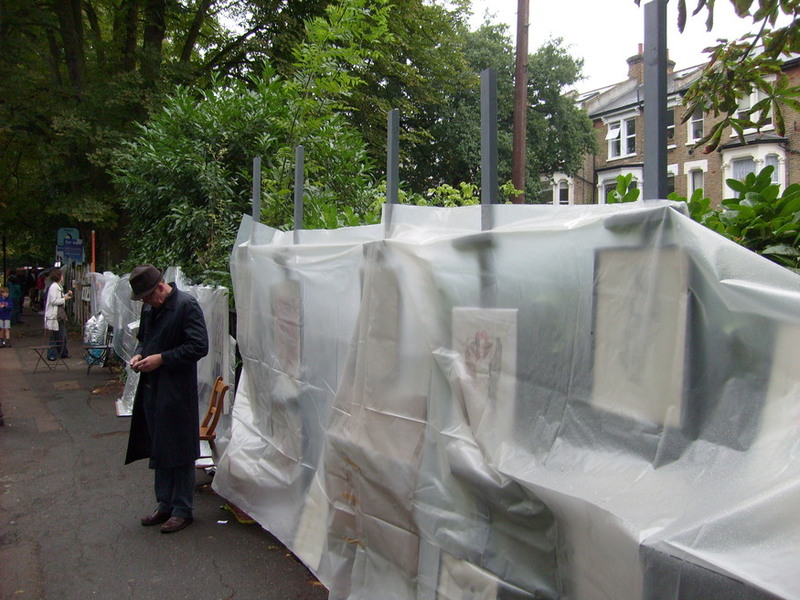 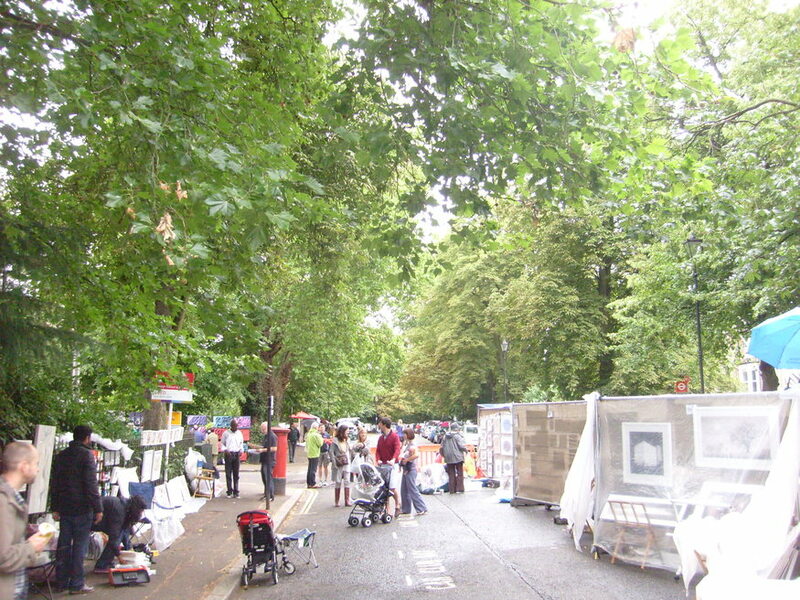 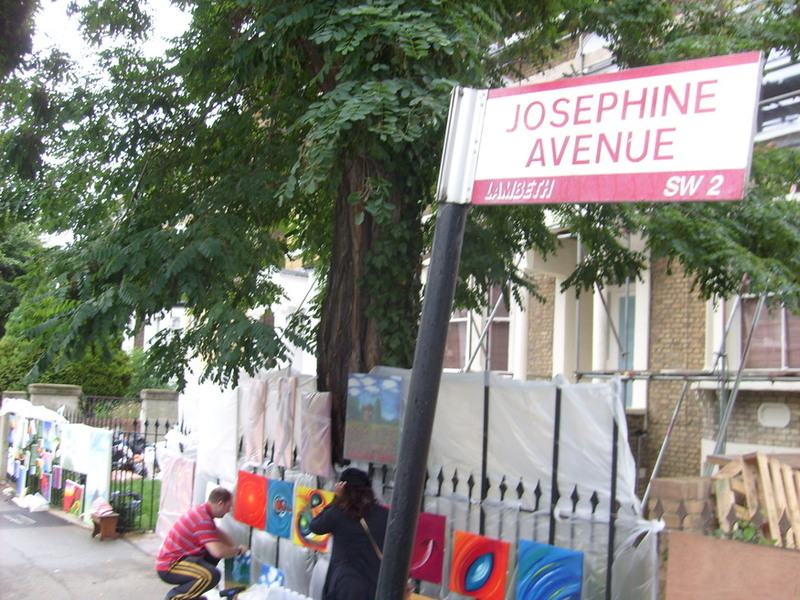 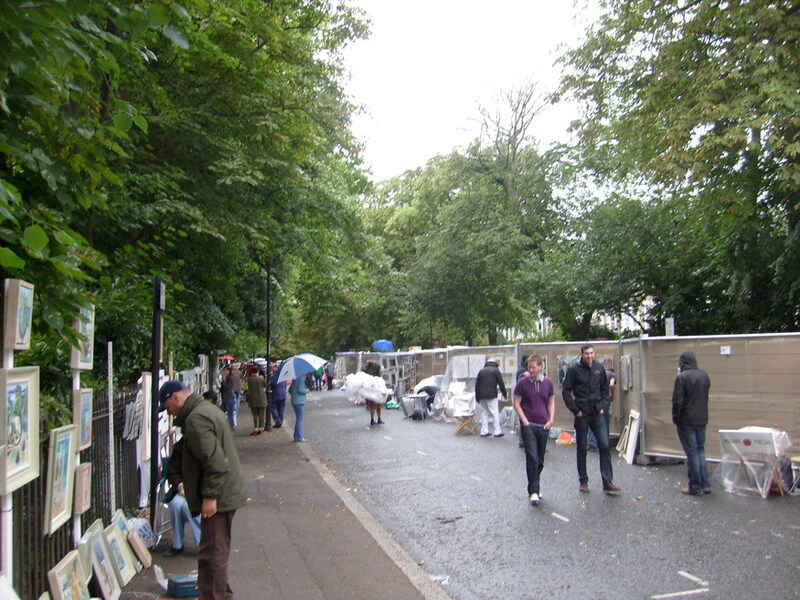 Every summer, a tree-lined street south of Brixton, Josephine Avenue, closes off for a weekend in order to host an outdoor Urban Arts Fair. 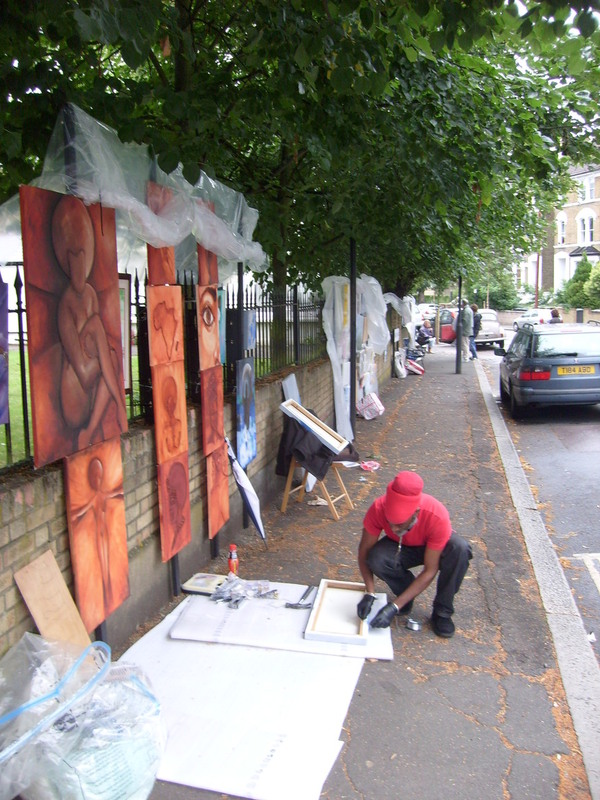 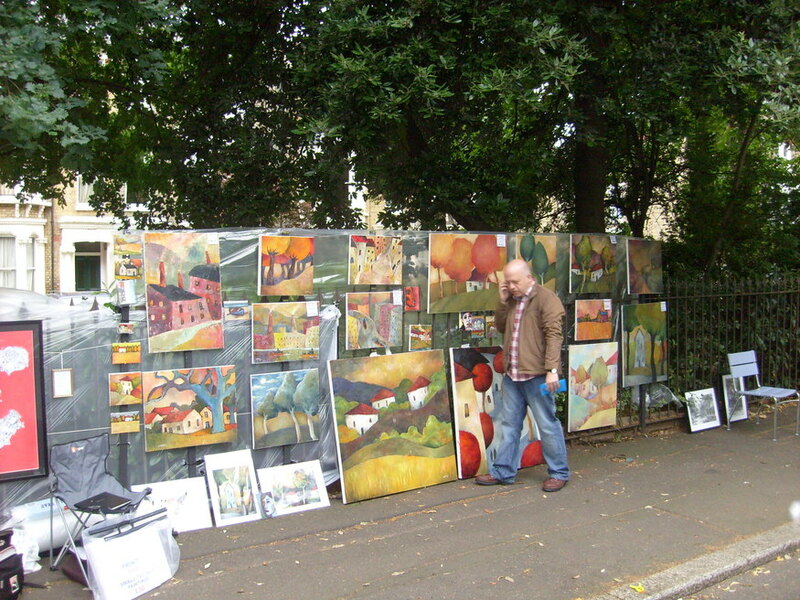 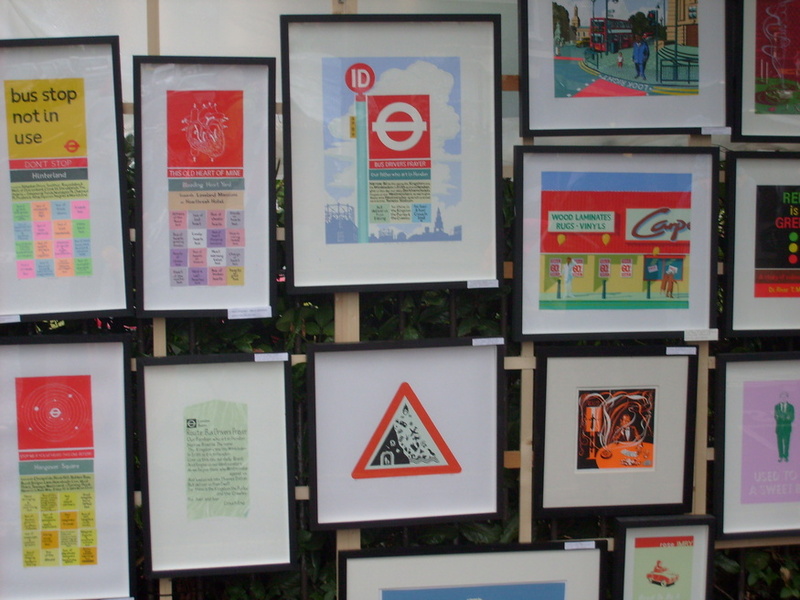 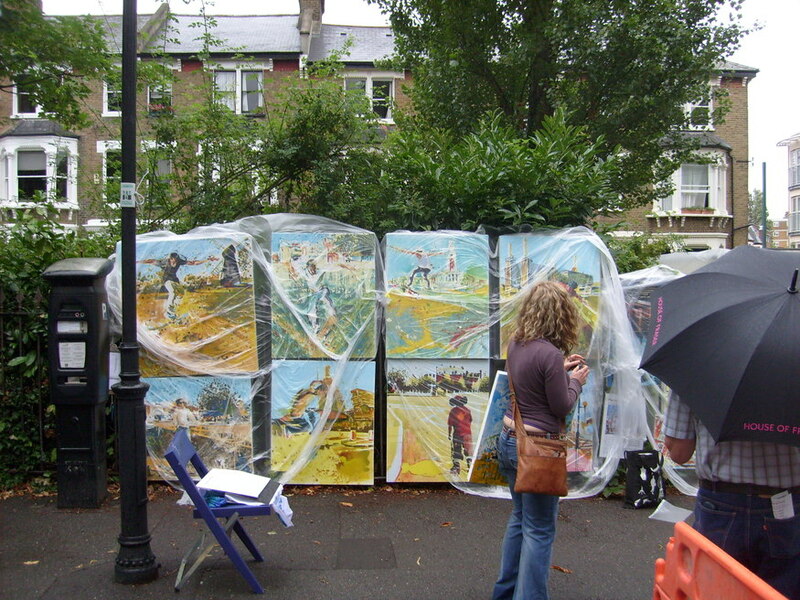 The road's distinctive black railings are used by artists and photographers as stands to hang and promote their wares. 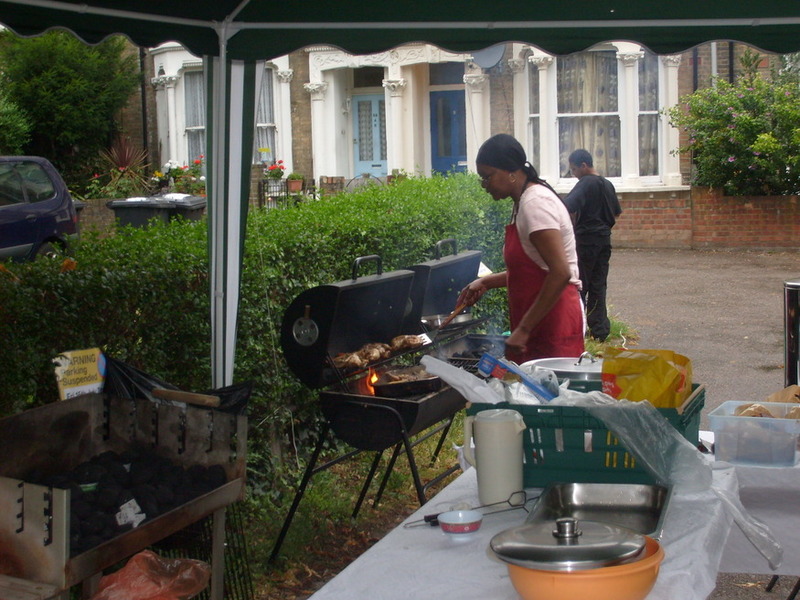 The residents' assocation organise food stalls and music to keep everyone entertained. 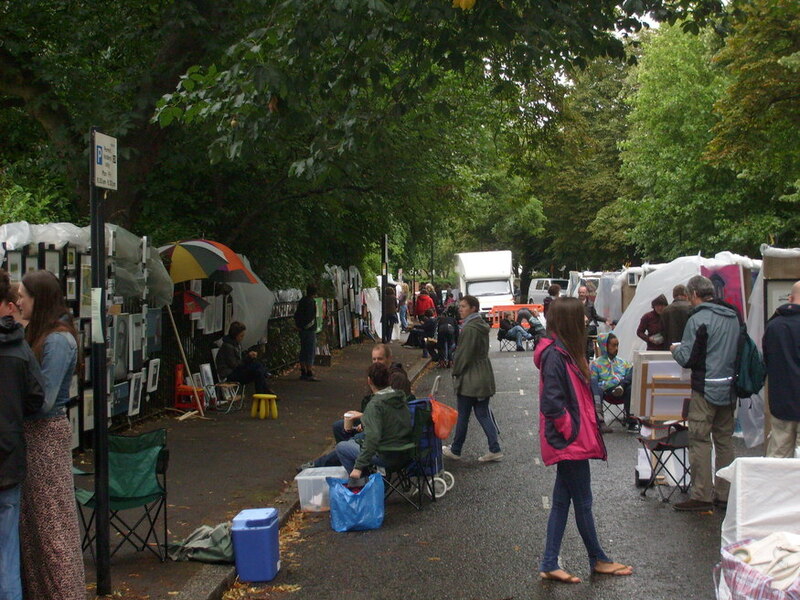 This year's fair, which runs until 6pm tomorrow, is suffering a little from the rain, but there's still a great vibe on the street and it's well worth a visit.